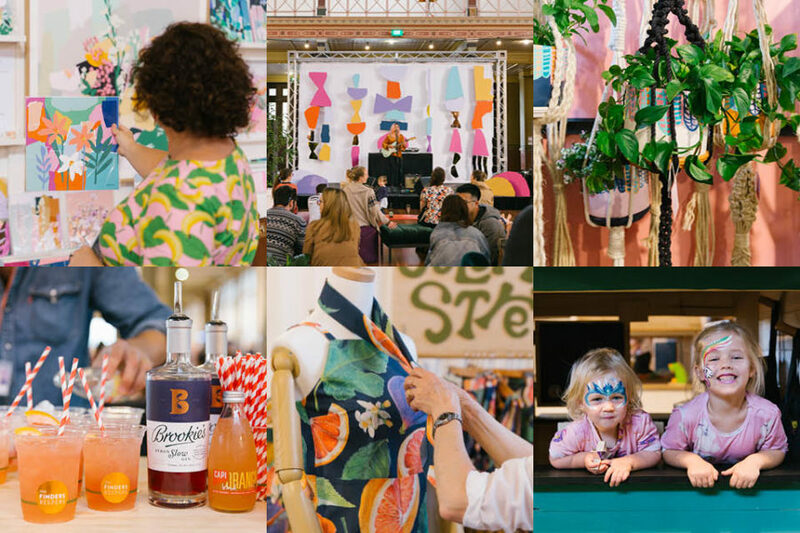 We could not be happier to share our full album of photos on Facebook today of the weekend that was Finders Keepers Melbourne Spring / Summer 2018, October 19-21. While it was a weekend of wild weather, the support for Australian design shone bright and the extraordinary Royal Exhibition Centre was buzzing with creativity. As always, a huge thanks to our incredible stallholders, debut, new and family! Every season we are in awe of the preparation and care that goes into your work and your Finders Keepers stall, and we feel incredibly lucky to have each of you part of this crazy three day event – celebrating independent art and design! GO frankie magazine! Your stall once again made us grin, so much papery goodness. 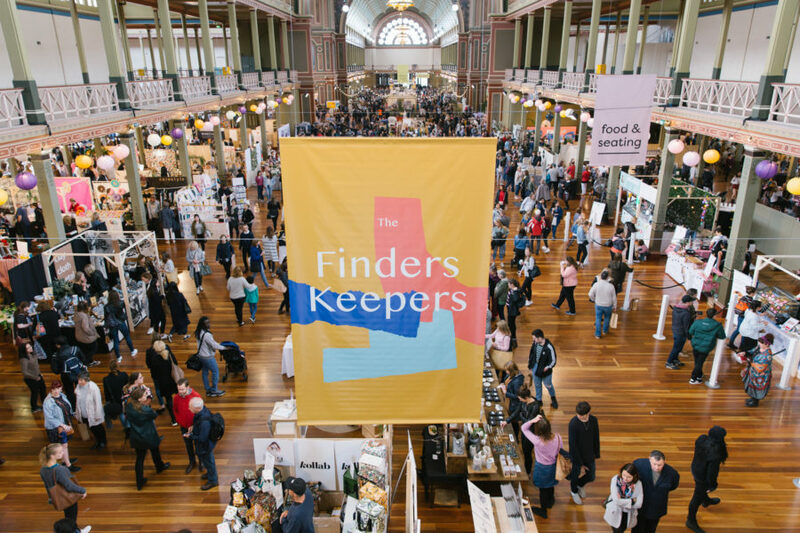 Your support and dedication to the Finders Keepers community continues to be recognised and appreciated. A big thanks to Beaconmaker for their continued support of our beautiful smartphone app – get this on the download! To the always incredible Royal Exhibition Building and Museum Spaces, thank you for hosting our event and welcoming us back in 2018. What a supportive team to work with, we feel blessed and so excited for the next FK! Big Ups to Castle & Cubby who continue to support the tour with their Melbourne-built kids cubby houses – made entirely from recycled timber. The Melbourne kids could not get enough! Thank you to Georgia for programming and coordinating the perfect mix of bands to entertain the crowds, young and old! Cheers to Matt and his crew from Dead East bar Co, for keeping our visitors’ thirsts quenched with tasty teezers at the bars. Thanks go to Dann Event Hire for bringing the chill vibes with their complementary autumnal coloured couches and seating. Thank you Samee Lapham! Your attention to detail, hard work and oh-so-beautiful photographs are taking us back to that fun weekend! Check out the album over on Facebook, and be sure to tag your label or friends! Last but never least, the entire Finders Keepers team, all permanent folk and casual crew, thank you for a brilliant start to the East Coast Tour, you’re all so special. Next stop: Brisbane and then onto Sydney for the final Finders Keepers of 2018 (can you believe it!) As always be sure to follow us on Instagram to see all the market fun and click through to our full album of Melbourne highlights here – stallholders get tagging!